Welcome to the St Louis Country Day Class Of 1960 web site. Our Mission is as follows: Regenerate camaraderie among members of the Class of 1960 in order to develop enthusiasm for attending reunion events and staying in contact between reunion gatherings. Well the Class of 1960 50th reunion is now just a memory. Maybe it can be a long lasting memory and will help remind us of the importance of good "old" friends and provide us an incentive to get together more often. 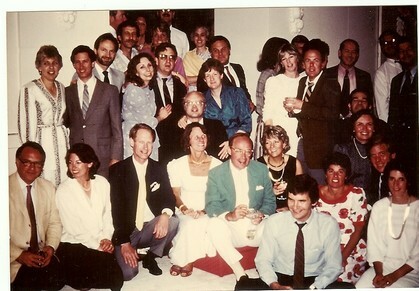 Below is the reunion picture taken at the school of the reunion attendees. From all reports the reunion was a tremendous success and those of you who were not with us were definetely missed. For more pictures of the 50th reunion visit the Picture Gallery. 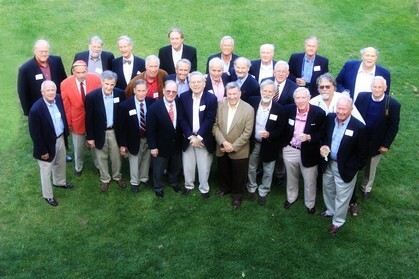 Here we were at our 25th Reunion. The picture below is the graduating Class of 1960. 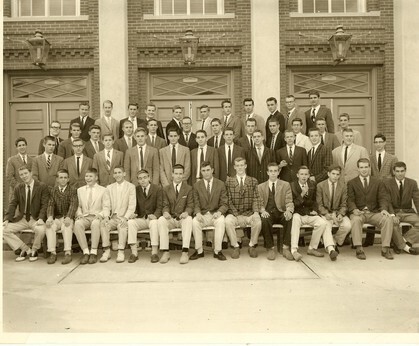 The picture below is the Class 8 picture of the Class of 1960.